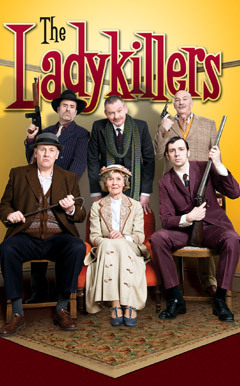 See The Ladykillers first with LOVEtheatre and save up to 38%! Book great seats from just £25 with no booking fees in their exclusive flash sale. Set your alarm, ends midnight on Friday 7 June! Featuring a stellar cast of some of the finest stage and screen comedy actors including Simon Day, Ralf Little, Olivier Award winners Con O'Neill and John Gordon Sinclair, Chris McCalphy and Angela Thorne. Best seats at £35 (usually £54.70) & second price at £25 (usually £40.30), Mon-Thu performances from 1-25 July. Secure tickets at their exclusive prices from 10am on Mon 3 June. Book before midnight on Fri 7 June.